Loro Parque Foundation has announced their deadline for the reception of new projects for 2019. They will accept new proposals until Wednesday, August 15. The Foundation will distribute US$ 1,000,000 among all the selected projects, which will be evaluated by a committee of independent experts. 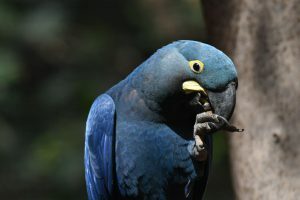 This international non-profit institution, whose main sponsor is Loro Parque, supports projects that focus primarily on parrots and marine animals, with the particular aim of improving the conservation status of endangered species. 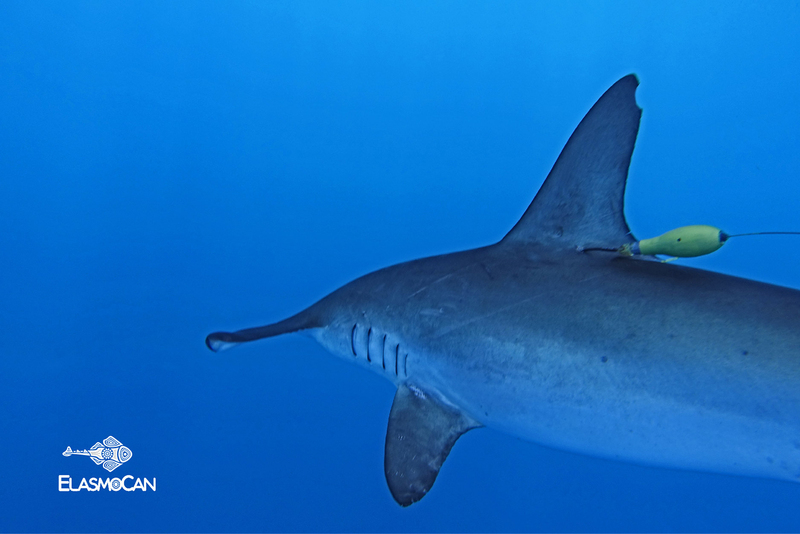 In addition, through its activity, it also promotes the conservation of their habitats and of biodiversity in general. Thanks to the fact that the Parque, considered the best zoo in the world according to TripAdvisor contributors, covers all the expenses of the Foundation, 100 per cent of all donations are used for environmental protection. Over the years, more than 150 projects have been carried out with their support. 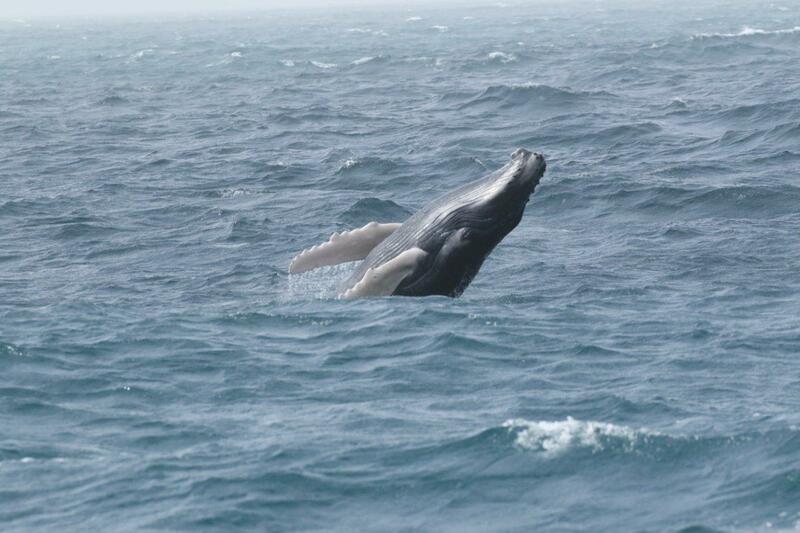 Among the list of this year’s 2018 projects is Whale Bay, which began last March on the island of Boavista to monitor one of the four most threatened populations of humpback whales in the world, in the only known breeding site for this species in the Eastern North Atlantic. The number of females with calves was 15-16, which is quite acceptable considering that no newborns were observed in 2016. 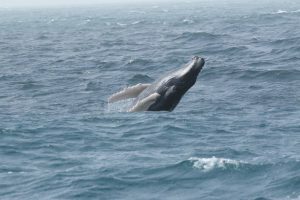 Thanks to Whale Bay, scientific data has been collected to support the declaration of Sal-Rei Bay as a marine protected area for the conservation of humpback whales, a code of conduct or good practice among whale-watching operators and vessels will be promoted and adopted, and national and international biologists will be trained in basic cetacean study techniques. Throughout this year and thanks to the support of the Loro Parque Foundation, Guayaquil Great Green Macaws (Ara ambiguus) have been released in Ecuacor. They were all born in controlled environments and came from confiscated poaching specimens. Thanks to modern satellite systems, the monitoring of these macaws in the Ecuadorian jungle is allowing us to obtain scientific data of great importance for the protection of this species and all those related to it, such as plants, insects and even amphibians. Another interesting project, recently started in Sardina del Norte, Gran Canaria, is one of ElasmoCan’s projects linked to the protection of the Angelshark, co-financed by Loro Parque Foundation and in which Poema del Mar is collaborating with outreach work. It’s complementary to another undertaking initiated in 2016 for the identification of Angelshark specimens and the subsequent carrying out of a census, and seeks to contribute to the conservation of this species by means of its continuous monitoring and the establishment of movement patterns, the description of its habitat and public awareness of its existence and the need to protect it. A final fascinating project is that of the Lear’s Macaws of Brazil, a seriously threatened bird in one of the driest regions of the country. Four birds were entrusted to the Foundation in Tenerife by the Brazilian government and after just a few months they had reproduced to over thirty specimens. Since the start, nine specimens have already been sent to their country of origin and more will soon be added to complete the recovery of this species in its natural environment, where scientific studies have been carried out at all levels. Thanks to its conservation efforts, the Loro Parque Foundation has managed to save a total of nine parrot species from total extinction. Since its inception n 1994, the Loro Parque Foundation has supported projects for the conservation of endangered species with a financial contribution to date of over $18,000,000. The change of threat category in many of these nine species is a worldwide environmental conservation success that makes this non-profit organisation the most effective internationally in this area. The species that have been saved from imminent extinction are: the Colombian Yellow-Eared Parrot, Brazil’s Lear’s Macaw, the Blue-throated Macaw of Bolivia, the Red-vented Cockatoo of the Philippines, the Red-tailed Amazon of Brazil, the Echo Parrot of Mauritius, the Blue-headed Macaw of Peru, the Horned Parakeet of New Caledonia and the incomparable Black Cheeked Lovebird of Zambia.